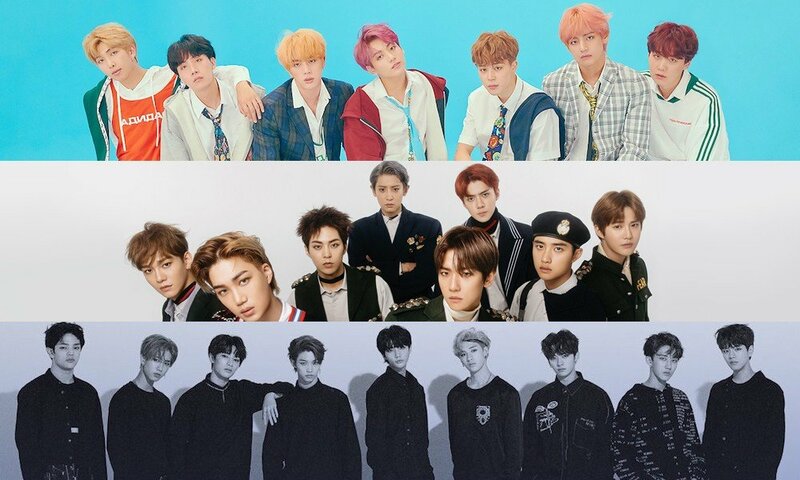 Check out Tumblr's 'Top 30 K-Pop Artists' of 2018 based on Fandometrics' 'Year in Review'! Tumblr has just released Fandometrics' annual 'Year In Review' reports for 2018! Our biggest interest among the various Fandometrics categories is of course: the most tagged and reblogged K-Pop artists of 2018! 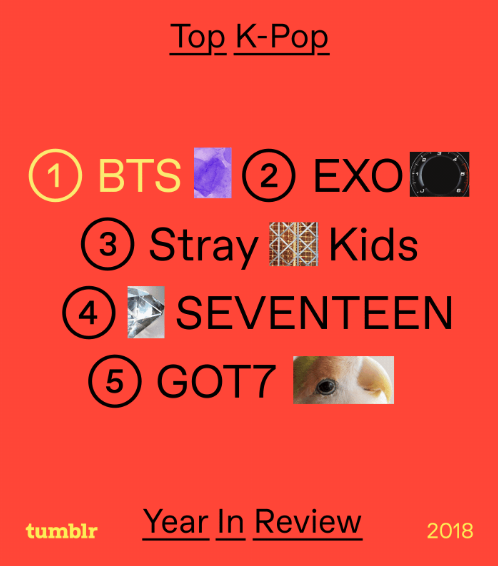 Officially, the top 5 K-Pop artists of 2018 on Tumblr based on Fandometrics are: BTS, EXO, Stray Kids, Seventeen, and GOT7. You can check out the full top 30 list, below! How come people always downvote articles about BTS? 👏 SHINee 👏 Taemin 👏 Jonghyun 👏 So proud to be a SHAWOL! !